Bioworld will introduce a line of Geronimo Stilton branded apparel including t-shirts, tank tops, polo shirts, sweat shirts and more. 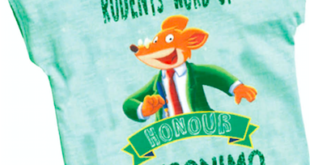 Set for release over this year’s back-to-school period, each pack of chocolates will feature Geronimo Stilton on the wrap and will include a special Geronimo-themed gift with it inside. 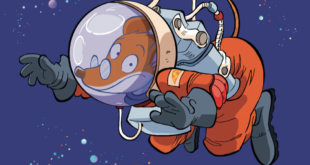 Launching this month in key Italian retail outlets the first 8GB and 16GB Flash drives will feature characters from Geronimo Stilton. 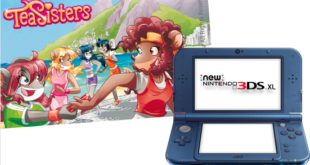 The consoles will now feature Thea Sisters images, unique icons and backgrounds within a range of personalised Nintendo 3DS Home Menus. The hotel will now feature a line-up of Geronimo Stilton Classic branded kids activities including games, toys and apparel for children aged four to 12 years old. 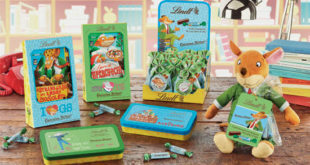 The eggs, launching in time for the Easter holiday this spring will contain a variety of Geronimo Stilton Classic stationery and will be available in mass market and specialty stores across Italy. Called Atlantyca Live, the new arm will be dedicated to bringing its popular children's properties to stages across the world. 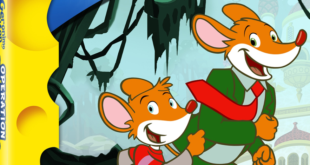 Geronimo Stilton themes to be made available for Nintendo 3DS platforms. Firm will exhibit with Atlantyca Entertainment at upcoming Licensing Expo.